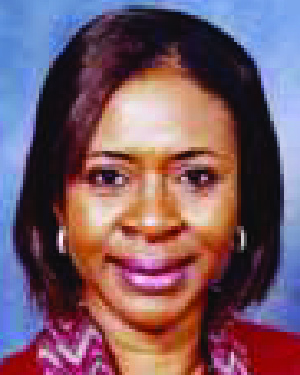 Dr. Agusiobo was a Humphrey Fellow at the Humphrey Institute of Public Affairs from 2001 to 2002. While at the University she researched children’s rights and took classes in women’s international rights, human rights, early childcare, public policy, program evaluation, and leadership for the common good. She received recognition from the Minnesota International Center for her participation in the International Classroom Connection program. After returning to Nigeria, she remained involved in research to support curriculum reform and other social programs for children. She has authored many publications on early childhood care curriculum development and early childhood education. She has repeatedly given testimony to the Nigerian National Assembly on children’s rights legislation, which passed due in large part to Dr. Agusiobo. She has worked tirelessly to establish a government policy on school feeding, which is especially important in Nigeria where there is a high rate of malnutrition. Currently Dr. Agusiobo is the senior program officer of the ENHANSE USAID project, a five-year bilateral agreement between the U.S. and Nigeria to strengthen education in Nigeria. Dr. Agusiobo has been recognized by Nigerians, schools, stakeholders in education, and international agencies as the mother of early childhood care. She has made the case that basic education must start with the very young, as they are the foundation to quality and effective basic education programs. Prior to her work at the ENHANSE USAID project, she was a consultant on early childhood care and education (ECCE). She led a study on the delivery of early childhood services in Nigeria for UNESCO, developed a guide on norms and standards for ECCE in Nigeria, and helped establish a model ECCE center in the rural suburb of Abuja. She has been involved in many national programs where she provided technical assistance to government partners, non-profit organizations, and community members at national, state, and local levels. Dr. Agusiobo has made significant contributions both in Nigeria and in the larger sub-Saharan Africa. She is a dedicated educational researcher and developer.